I soon have more information about the flower. On the little prince’s planet the flowers are always very simple. They are small and they don’t talk. They grow in the grass in the morning, and they are gone in the evening. But it all changes one day. There is a different seed. It comes from some place which nobody knows. Soon a new flower starts to grow. First she is very small. The little prince watches her very carefully. The flower isn’t like other flowers on his planet. The flower can be a new type of baobab. But she is not a baobab. She is really a flower. Soon she starts to prepare for opening. The preparation for this moment is long. The flower doesn’t want to show her colours fast. Then one morning, exactly at sunrise, the flower shows her colours. The little prince is surprised. The situation is new for him. 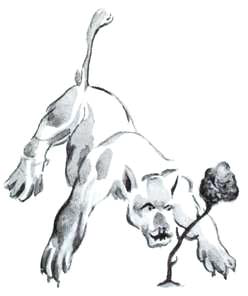 But he brings water to the flower. The flower starts to play with the little prince. Her play isn’t always nice. But she stops at this moment. Flowers grow from seeds. They don’t know about other worlds. The flower feels stupid now. 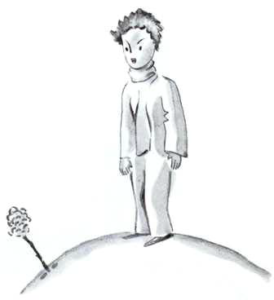 She knows that the little prince sees that she can lie to him. She quickly coughs two or three times. She wants to show the little prince that she is cold and that he doesn’t care about her well. “The glass? 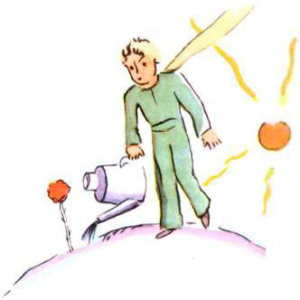 I can look for the glass but you still talk to me,” says the little prince. Then the flower starts to cough a little more. She wants to show him how bad he is. The little prince has a lot of love in his heart. But he can’t believe the flower. 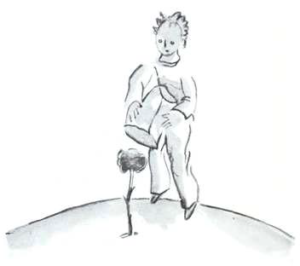 For the little prince, it is important how somebody speaks to him. And the flower doesn’t speak to him well.